values in all facets of our business. CREATIVE recognizes that the demand for green has moved to the mainstream consumers. 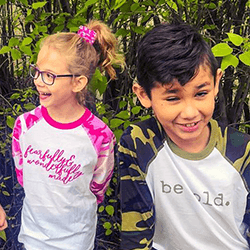 Environmental awareness is growing and consumers are more educated about the brands they purchase, seeking authentic benefits and verifiable claims. Subsequently, corporations are expected to demonstrate greater social compliance. 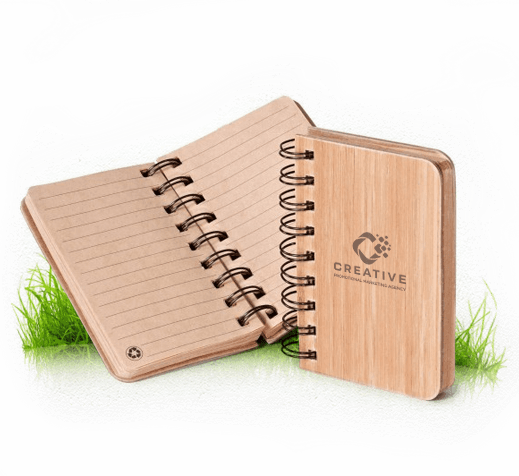 Because of this trend, CREATIVE is aggressively pursuing brands that offer viable eco-friendly options with their promotional products. The area of environmental responsibility has become a real focus for CREATIVE over the last decade. 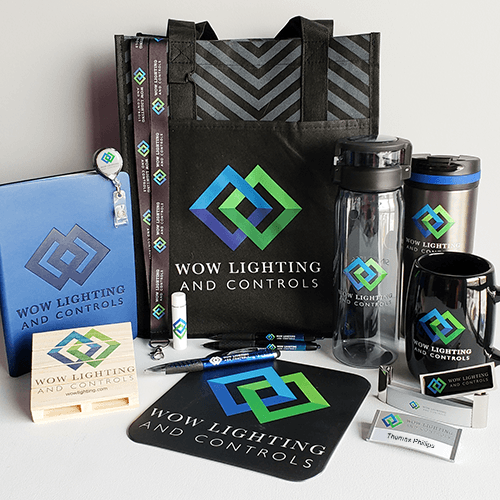 As a result, we have developed strong resources and relationships with suppliers who provide green merchandise or SWAG. And we’re not just pursuing traditional promotional products that have been repurposed as eco-friendly. 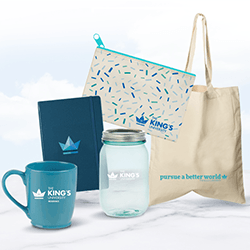 We have sought out unique merchandise that is intrinsically green, from the manufacturing process to the materials used, to the inks and other processes utilized in the printing process. We highly recommend a green product category for all of the online company stores we develop and manage. Aside from our environmental policy, that positions CREATIVE as a responsible steward for the environment, we have implemented other measures to ensure we reflect strong eco-conscious values. The most primary value is teaming up with suppliers who are committed to eco-friendly processes. Our suppliers are thoroughly vetted and must meet a set of stringent criteria, including possessing an exclusive line focused on sustainable offerings; providing the highest quality products at fair prices; committing to the creation of quality, sustainable products that are responsibly made; and providing organic certificates and factory audits. 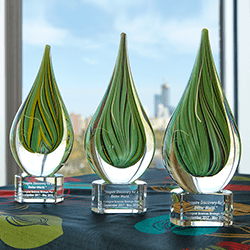 CREATIVE is fully committed to helping reduce our impact on the environment and as we continue to grow as a company, our sustainability efforts are growing as well. As a sales organization, we understand that the majority of our environmental and social responsibility footprint is directly connected to our suppliers. That’s why we have consistently aligned with reliable and responsible partners who provide corporate or company apparel. In fact, two of our preferred vendors, SanMar and Cutter & Buck, are participating members of the Fair Labor Association (FLA), a collaborative effort of socially responsible organizations aimed at improving work conditions in factories across the globe. Office-wide recycling that includes paper, batteries, beverage containers, printer toner cartridges, and other items. An investment in energy-saving light bulbs. Two-sided printing on recycled paper. Establishment of a teleconferencing policy to minimize unnecessary air and road travel. Policy against printing unnecessary documents or email messages. One of only a few companies in Edmonton with a community garden! Energy saving tools, such as hibernation and screen saver applications, installed on all computer equipment. Policy requiring motion-sensors/timers for all lights, to minimize consumption during non-use. Purchase of reusable products and avoidance of disposable products. Purchase of eco-friendly cleaning products for use in the office. CREATIVE has established a leadership position in regards to product safety and sustainability. We operate under a Terms & Conditions agreement with suppliers. The agreement states that all products adhere to applicable Canadian and U.S. laws and regulations.